The Bar Association of Metropolitan St. Louis (BAMSL) offers its members more than 10 interest groups representing both practice areas and demographics, in addition to various committees that are responsible for a wide spectrum of initiatives, programs and day-to-day association operations. Membership in sections and divisions and involvement on committees offers invaluable opportunities for networking, practice development and education. Divisions within BAMSL are established by BAMSL's bylaws. Divisions are responsible for planning and presenting education programming, spearheading initiatives in both the legal community and beyond, providing resources and information for their members and much more. Divisions are governed by specific bylaws and are managed by an executive committee. The Young Lawyers Division (YLD) is a network of BAMSL lawyers interested in career advancement, public service, leadership training, and social interaction with lawyers of all ages. All members of The Bar Association of Metropolitan St. Louis 36 years old or younger or who are within five years of their first bar admission automatically become members of YLD. Law student members also automatically become members of YLD. Sections within BAMSL represent a variety of practice areas. Sections are responsible for planning and presenting education programming, spearheading initiatives in both the legal community and beyond, providing resources and information for their section members and much more. All sections are governed by specific bylaws and are managed by an executive committee. Considers matters of interest concerning criminal law and communicates with the members of the section, Board of Governors and the Association regarding these matters. The Employee Benefits Section unites attorneys who work in all aspects of employee benefits — employer advising, multi-employer plans, and litigation — to create a network of like-minded professionals, increase knowledge and stay up-to-date on developments in the law. The Section holds steering committee meetings and hosts CLEs. Strives to improve the practice of Domestic/Family law by providing education, resources and updated information on current issues related to the practice through CLEs and small group meetings. This section further strives to improve the trial practice for the lawyers who practice Domestic/Family Law by providing them resources needed in their practice. Lastly, this section works toward continuing relationships between the bench and bar; improving the juvenile justice system, the adoption process and system; and is working to develop better programs to assist the domestic violence court, veterans court, and adult abuse office. Encourages an exchange of information between the federal judiciary and the bar and strives to work toward improving the practice of law in the federal courts. The Labor & Employment Law Section is concerned with developments in the law governing the rights and responsibilities of individual workers and their employers in the workplace and the resolution of disputes between individual employees and employers. The Labor & Employment Law Section is responsible for providing six or more hours of Continuing Legal Education seminars each year, which generally includes presentations on the following areas of labor and employment law: wrongful termination claims, health and disability leaves, emerging statutory rights, class actions, labor disputes, and alternate dispute resolution. Generally, the Labor & Employment Law Section attempts to conduct one seminar per month on a topic of recent interest. The Labor & Employment Law Section also provides networking opportunities to law students and attorneys by hosting two happy hours a year. The purposes of this Section are: To develop, conduct and disseminate information, programs and recommendations on opportunities and means by which minorities may increase participation in the legal profession and the bar association; to encourage continued inclusion of minorities in sections and committees of the Association, in CLE programs, in the Bench and Bar Conference and in other activities; and to determine issues of particular interest to minorities and to address those issues in cooperation with other committees, sections and associations. Offers programs and opportunities for Intellectual Property practitioners to stay abreast of new developments in the practice of patents, trademarks, trade secrets, and copyrights. The Section Steering Committee meets over lunch bi-monthly (second Tuesday of each odd-numbered month). The Steering Committee welcomes and encourages interested practitioners to join or reach out with any new ideas to promote mutual enlightenment in the practice of IP law in our St. Louis legal community. The Probate & Trust Law Section provides a forum for lawyers who practice in the area to share knowledge, experience and ideas. The section sponsors regular CLE opportunities for members and non-members: an annual Trust & Estate Planning Institute; an annual Fiduciary Litigation Seminar; and an ABCs of Estate Planning series. The Section provides a forum for securities lawyers to exchange ideas, address common concerns and work toward improving the practice of law. The Solo and Small Firm Section of BAMSL promotes the common interests and objectives of solo and small firm attorneys with a focus on addressing the unique challenges faced by this group of entrepreneurial practitioners. Providing a forum to share experiences, ideas, resources and solutions to problems for solo and small firm. The mission of the Taxation Section is to help members gain a basic understanding of important tax issues that arise in their practice, and to provide education about taxes and tax systems. We always welcome suggestions, content and speakers for our programs. The Trial Section brings together a large cross-section of litigators. The Section meets monthly during the lunch hour to discuss various topics focused on enhancing the lives and careers of trial lawyers. We also plan and offer high quality and entertaining CLE programs aimed at strengthening participants' trial advocacy skills taught by the most well-regarded trial attorneys in the area. Every year, we offer the "Afternoon in Court" series, alternating the hosting Courthouse between the City of St. Louis and St. Louis County. This program is taught by numerous State Court Judges and provides attorneys with an opportunity to learn about the various divisions of the Court and meet the Judges who work in specific areas of law. Established in 1980 as a committee, the mission of WILP is to promote and enhance women in the legal field professionally, personally and within their community. WILP provides members with the opportunity to connect and interact with other female legal professionals, thus offering support, growth and synergy. Meeting the second Tuesday of every quarter (January/April/July/October) we welcome all to attend, and discuss CLE topics and ideas as well as community service projects. We also host an annual New Admittee Reception each November, welcoming all newly admitted women attorneys and new women judges. BAMSL Committees take on important business and initiatives on behalf of the association. These groups vary in size of members, length of volunteer commitment and nature of work, but all offer volunteers a meaningful way to contribute their efforts for the betterment of the bar and the overall St. Louis legal community. The Admiralty Law Committee is comprised of a relatively small group of St. Louis lawyers who devote a significant amount of their practice to maritime matters. These lawyers share their knowledge and insights with other lawyers who occasionally encounter maritime issues in their practices. The most significant activity for the Admiralty Law Committee is what has become the annual Maritime Law Seminar, an all-day seminar/CLE program featuring members of the St. Louis admiralty bar along with other marine industry professionals. The seminar covers a wide range of topics and is unique in that it receives significant attendance from non-lawyers, including vessel owners and operators, marine insurance professionals and others with an interest in marine transportation issues. The ADR Committee provides information to the bar, judiciary and public on appropriate methods of dispute resolution. The Committee provides educational and training programs for those interested in learning and enhancing their ADR skill set. The committee is working to expand experiential opportunities for those interested in serving as mediators. The committee is searching for the right combination of dates and times to meet the needs and availability of BAMSL members. Encourages an open exchange between appellate attorneys and judges regarding appellate practice. Provides a forum for bankruptcy law practitioners to exchange ideas, address common concerns and work toward improving the practice of law. Coordinates the St. Louis Bankruptcy Pro Se Assistance Program. Plans and conducts the annual Bench and Bar Conference, which provides lawyers and judges the opportunity to discuss their mutual problems and consider practical solutions. In a more relaxed atmosphere at the Lake of the Ozarks, conference attendees can discuss and collaborate without the normal day-to-day distractions. The Communications Committee works to inform members about all BAMSL activities, benefits and career and community service opportunities. It also works to develop and enhance Association communications vehicles and methods that make messages more effective. The goal is to build cohesiveness and camaraderie between members; attract new members; and educate the general public about the rule of law, the administration of justice and the professionalism of lawyers and their value to the community. Provides a forum for construction law practitioners to exchange ideas, address common concerns and work toward improving the practice of law. Provides relevant CLE programs about the law to the Bar and practical advice to the construction industry at large. We welcome new members and ideas for upcoming CLE programs. Determines numerous means by which BAMSL can be of better service to its elder members and to the elders of the community and serve as a forum to address elder law issues. Examines the existing federal, state and local laws relating to environmental and conservation laws and recommends changes and amendments. Provides a forum for environmental law practitioners to exchange ideas, address common concerns and work toward improving the practice of law. Plans and conducts the annual golf outing, held each June at a local golf course. Develops programs/events geared toward attorneys working in government and the public sector. Develops recommendations for the BAMSL Board of Governors and staff on how to better serve this constituency. Provides a forum for immigration law practitioners to exchange ideas, address common concerns and work toward improving the practice of law. Formerly known as the "eDiscovery Committee," the Innovation and Technology in the Legal Profession Committee leads legal professionals in serving their clients more effectively and efficiently. The Committee is a forum for the exchange and exploration of innovative approaches to providing legal services, not only though new technologies but also through fresh approaches to marketing and business structures. A partnership with St. Louis City and Legal Services of Eastern Missouri working toward addressing problem properties and nuisance behavior. The BAMSL Legal Support Committee is comprised of, and supports, Paralegals, Legal Secretaries, Legal Assistants, Law Librarians and other legal support personnel by providing access to information as well as continuing legal education (CLE) programs, seminars and workshops, in an effort to promote the advancement of legal professionals in the St. Louis area. 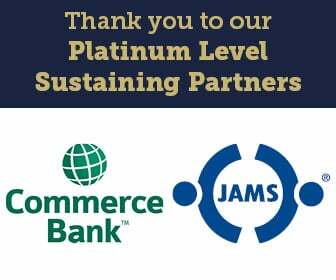 Our purpose is to provide resources and programs relevant to all members of the committee and support BAMSL volunteer opportunities. The committee schedules meetings three to four times per year, typically in the evening to accommodate the work schedules of the members, with two to three CLE programs, also in the evening. The BAMSL LGBTQ Committee provides programming and events related to the LGBTQIA+ community. The committee welcomes both members of the LGBTQIA+ community and allies. We host several networking happy hours throughout the year. Develops programs, events, and CLE seminars geared toward attorneys working in the marijuana industry and marijuana regulations. Strategically plans for future growth of membership in BAMSL. Pursues membership initiatives and programs as well as partnerships with other service organizations. Strategizes how to provide a better experience for BAMSL members; recruit and retain members; and explore and expand member benefits. Plans and conducts the annual Motion for Kids (MFK) Holiday Party. MFK is a joint project of the Bar Association of Metropolitan St. Louis (BAMSL), the Saint Louis Bar Foundation, Saint Louis University and Chaifetz Arena, with support from the St. Louis Blues, St. Louis Cardinals and Delaware North. The mission of Motion for Kids is to provide a holiday party every December with gifts and activities for St. Louis children whose lives have been impacted by the justice system. Promotes pro bono opportunities for BAMSL members. Coordinates the St. Louis Pro Bono Challenge. Plans and conducts the annual Pro Bono Celebration in conjunction with the ABA's Pro Bono Celebration. Provides a forum for real property lawyers and other professionals to exchange ideas, address common concerns and work toward improving the practice of real property law in St. Louis. Join the group for monthly presentations on the third Tuesday of the month providing an ideal opportunity to network with other attorneys and professionals while gaining insight on various areas of real estate law. Provides opportunities for greater fellowship and interaction among the more senior members of the profession. The Social Security Committee is an active group of those focusing on claims before the Social Security Administration and related appeals to federal court. We meet every other month over lunch to discuss updates and share tips. If there is a new case, regulation, policy, or form, we will discuss it. If there is a new judge with particular preferences, this Committee is the place to learn about it. Our group includes the most experienced Social Security lawyers in the region, as well as those just getting started. Above all, we offer a place to ask questions and share and learn from others who are dealing with Social Security every day at all levels. Promotes the well-being of legal professionals and law students by providing education and resources in the areas of mental health, stress management, addiction, physical health, work/life balance, and other quality of life and quality of career issues. The Workers’ Compensation Committee is comprised of claimant’s attorneys, insurance defense attorneys, and Administrative Law Judges with a primary goal of keeping members of the bar updated on developments in the area of workers’ compensation. The committee organizes CLEs that address case law and legislative updates, ethics and medical issues that are commonly encountered in the practice. The committee also organizes happy hours, which gives attorneys and judges an opportunity to socialize outside of the courtroom.